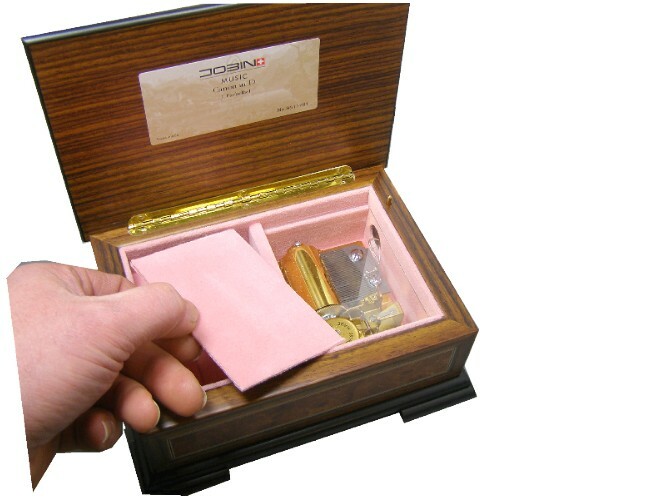 A beautiful swiss musical jewellery box. 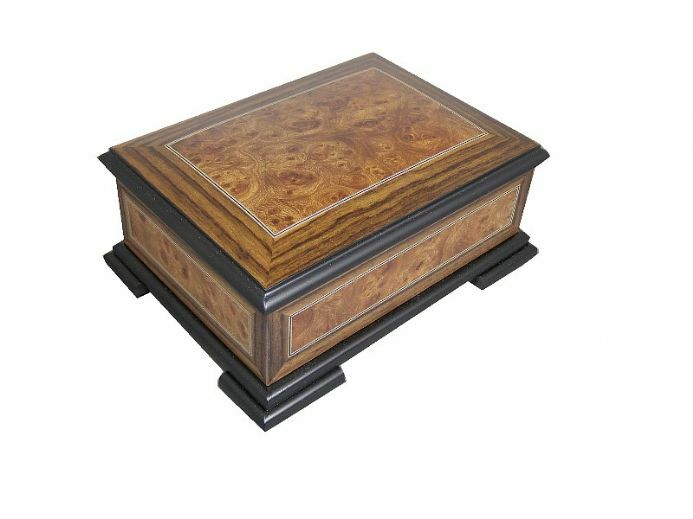 This classic Swiss musical jewellery box is made with beautiful wood veneer, with banding inlay set into the burr elm veneer. 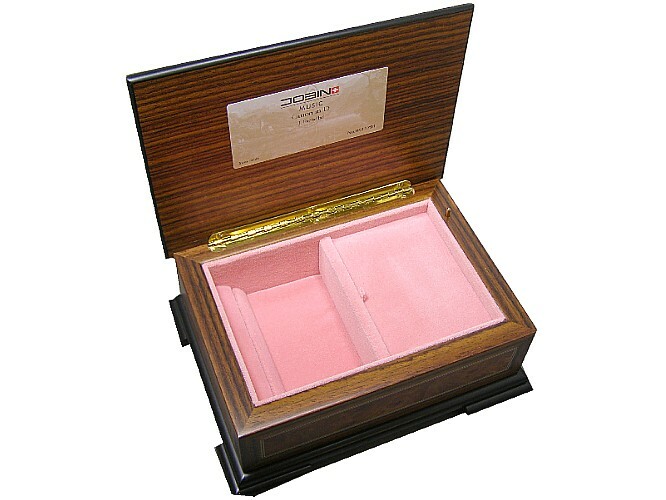 The musical jewellery box has an opening lid with pink velvet linning and a removable musical movement cover. The clockwork 36 note musical movement is wound from underneath and when the lid is lifted plays "Pachelbels Canon in D". 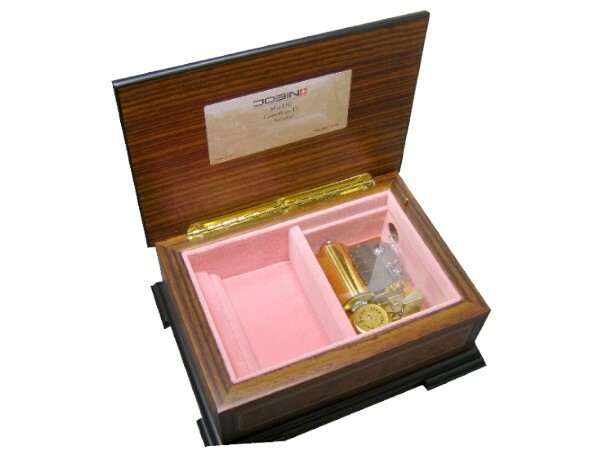 The musical movement is visable under a clear cover which also has a removable top pink velvet cover. 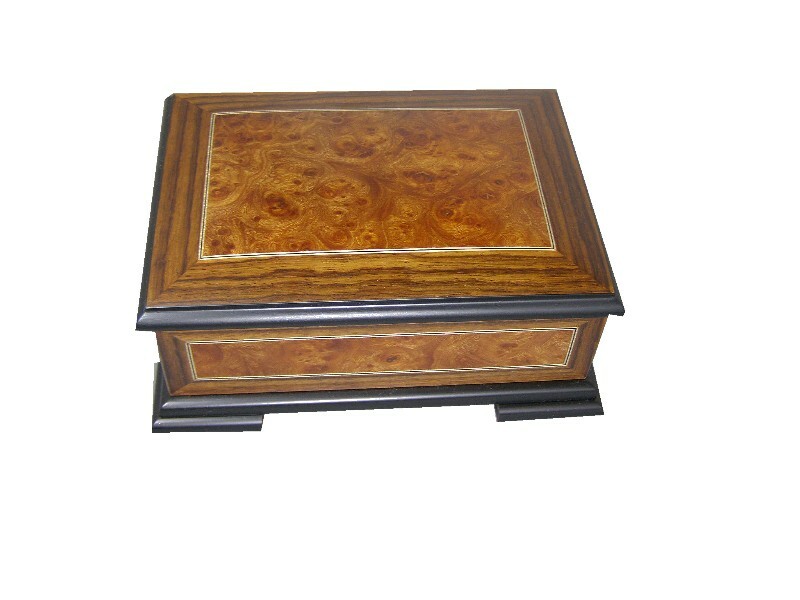 To one side is a storage area suitable for jewellery, rings, chains or trinkets etc. Approx Size : 188 x 139 x 85 mm.